Carolyn Dorfman Dance master class with Columbia High School students. Courtesy of Carolyn Dorfman Dance. 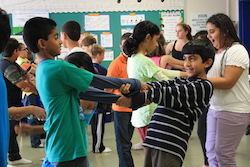 New Jersey’s Carolyn Dorfman Dance, whose bold and dramatic works connect life and movement, is broadening students’ dance knowledge and appreciation through classroom activities, after-school programming, and curriculum-building throughout communities across the nation. In 2016, the organization launched the D.E.P.T.H. Initiative — Dance (that) Empowers People to (be more) Human — with a 36-month fundraising goal of $100,000 for dance education expansion. East Brunswick Public School students dancing. Photo courtesy of Carolyn Dorfman Dance. 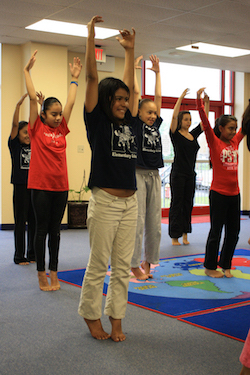 As of March 23, the initiative had raised over $23,000 in private funding, earmarked for five new dance programs — McKinley School in New Brunswick, PS 27 Elementary and Passaic County Technical Institute (PCTI) in Paterson, New Jersey High School Dance Festival in Union City, and a special student assembly sponsored by LaGuardia Performing Arts Center in Long Island City, New York. More specifically, the initiative provides underwriting support, enabling Carolyn Dorfman Dance to bring its Creating Cultural Communities programming to locales interested in dance performances, master classes and dance education but who lack the resources. Through this initiative, the company will expand access to dance and deepen its role and relationship to students and audiences — utilizing its art form for positive impact on communities. 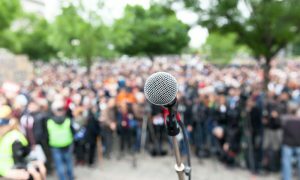 As defined by the John F. Kennedy Center for the Performing Arts, funding these types of “citizen artists” experiences affirm the power of dance as a dynamic art form to entertain, enlighten, engage and connect. New Brunswick Public School students dancing. Photo courtesy of Carolyn Dorfman Dance. As an educational mainstay in school districts and communities for more than 30 years, the organization’s dance education programs foster growth in both social and emotional skills, as well as physical, cognitive and perceptual skills. Current Creating Cultural Communities programming includes three facets. First, “Speaking Through Dance”, a K-12 dance education curriculum, embraces and furthers the New Jersey Core Curriculum Standards. It is tailored to address the needs of the given class, grade or district. Pre-Professional and Professional training programs at the community and university level also utilize the curriculum. 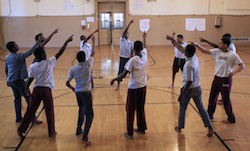 Dorfman’s professional development training gives K-12 teachers the tools to utilize dance and movement as a conduit for improving communication skills, adaptability, analysis, learning, and understanding history and current trends. Male students of Link Community Charter School dancing. Photo courtesy of Carolyn Dorfman Dance. 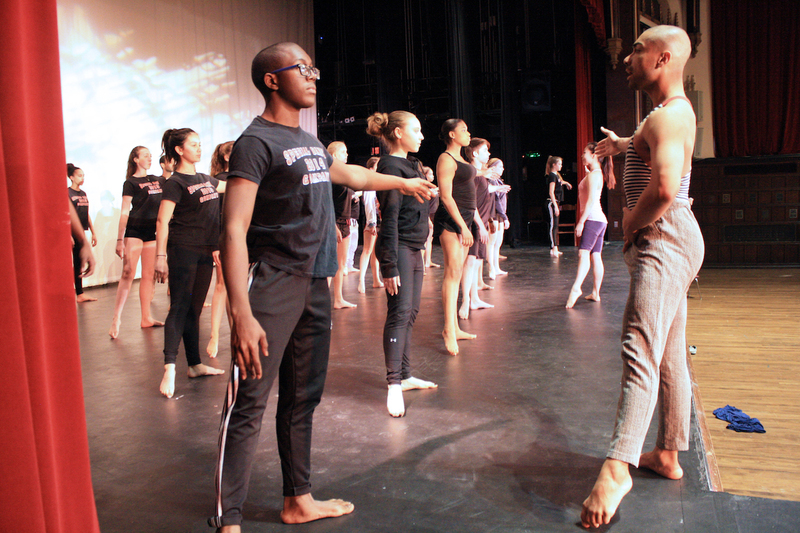 Second, Master Classes and Choreography Workshops provide students with hands-on and intergenerational experiences to better understand the art of dance-making as a conduit to explore the world and relationships. Third, “Back Stage Pass” lecture performances invite students and audience members to engage in the process of making, doing and seeing dance. Currently, the following schools and districts participate in Carolyn Dorfman residencies: East Brunswick and New Brunswick Public Schools (elementary, middle and high schools); Link Community Charter School and Roberto Clemente Elementary schools, Newark; Howell High School; Union City High School; PCTI and PS 27 Elementary schools, Paterson; Union County Vocational Technical Schools, Scotch Plains; and the Ailey/Fordham BFA Program, New York City. Additionally, Dorfman serves as a co-chair of the dance advisory council at the New Jersey Performing Arts Center (NJPAC.) She also heads NJPAC’s Dance Division in Arts Education program, whose after-school, summer and Saturday programs nurture young artists from across Essex County to find their creative voice as they study alongside Carolyn Dorfman Dance’s leading professionals. Learn more about Carolyn Dorfman Dance at www.carolyndorfman.dance.